Question: I have an idea that I think would make a great magazine article. How does one go about getting published? Answer: There are really two levels of information involved in answering this question: first I’ll explain the simple mechanics of the editing-and-publishing processes, and then we’ll get into some ways you can increase your odds of having a story accepted for publication. Most fly-fishing articles begin as a query sent to a magazine’s editor via email or US mail. The query usually describes the article in specific detail and explains the author’s credentials. If the editor thinks that the story is something he’d like to publish and he thinks that the writer can actually follow through and produce a solid manuscript, the editor contacts the writer to discuss the details. Oftentimes, the editor will tweak the original concept to better fit his needs. Once the editor is fairly confident that he and the writer are on the same page, the editor assigns the story to the writer. At this point, the due date, payment amount, and a potential publication date are set. If the editor has never worked with the writer before, he may ask the writer to work on spec—that is, to write the article with no guarantee that it will be accepted for publication or that the author will be paid. It is not unusual for the writer and the editor to communicate during the writing process. The writer may need clarification in his attempts tailor the manuscript to the editor’s needs, and the editor may need information to assign illustrations or maps. Once the manuscript is turned in, the editor gives it an initial read to make sure that the writer has done everything asked of him and has provided all the information necessary. This is when an editor usually asks for more information or major revisions. If the editor determines that the article isn’t going to work because the author lacks the expertise, information-gathering skills, or writing ability, he may simply reject the manuscript. Once the manuscript has been accepted, it goes through the magazine’s editorial workflow pattern—from editorial to the art department and then back to editorial. Editors or art directors sometimes discover discrepancies or confusing information that requires another discussion with the writer. Finally, the finished article appears in the magazine. For a new writer, the most important steps are the first few. When I was editor ofAmerican Angler, I could usually tell from the first couple of sentences of a query whether or not a story was going to work for the magazine. A good query introduces you as someone who can write well, understands the magazine you’re querying, and has a solid story idea. Don’t send off a sloppy, poorly-thought-out query, because that query represents an editor’s first impression of you. Spend a good amount of time making sure that the article you are proposing fits the editorial mission of the magazine and bears a passing resemblance to the stories the magazine already publishes. Don’t send fiction or poetry to a how-to magazine, for instance. Every magazine has editorial guidelines to help authors write appropriate stories. 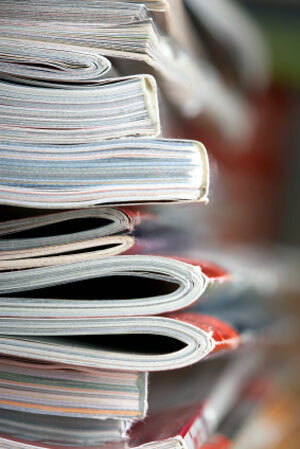 Get the guidelines for a magazine and read them before you send a query. These guidelines are also invaluable when you sit down to write. The best way to please an editor is to present him with something he doesn’t have to rewrite because you’ve formatted things incorrectly or made other mistakes. If you want to write for fly-fishing magazines—or any publication, for that matter—take the time to actually read the magazines, to get a sense for what kinds of stories they publish, how they construct articles, and what topics they may be overlooking. If you can step in and provide stories on topics that no one else is covering, you’ll increase your chances of getting published.